This item is being sold “as is” with no returns, and no refunds. It is non-working. It’s possible it could be repaired, but we won’t do it here. 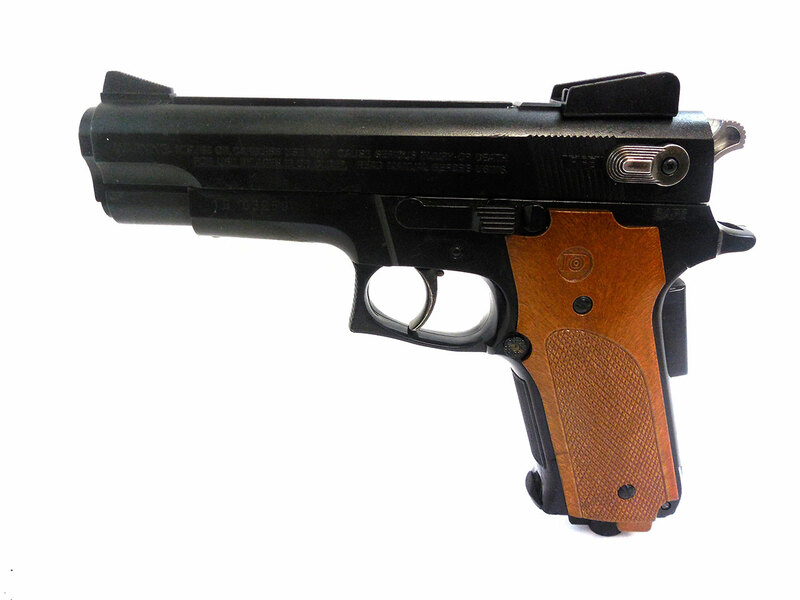 The Daisy Model 93 is a CO2, semi-auto pistol with a 15 shot magazine. They were discontinued in 2004. 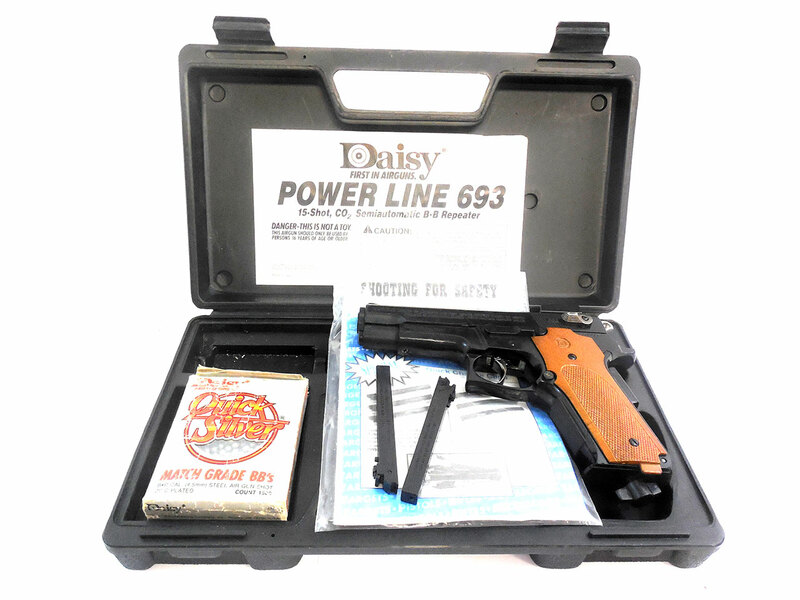 This one comes with Daisy Powerline 693 case. It fits nicely. It also includes 2 BB clips, and a box of 1500 count Quick Silver BBs. It’s in great condition aesthetically. 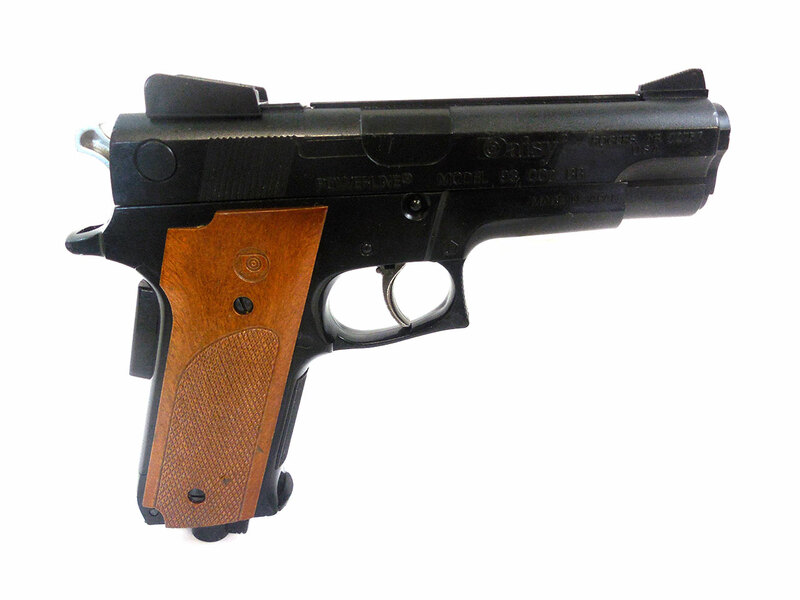 It just doesn’t shoot.